Some commonly asked business tax extension questions, including questions about filing for businesses with no income, filing a second extension (you can't), how the IRS approves or rejects tax extensions, and filing an extension in your state. 1. I don't owe any taxes. Do I have to file by the tax due date? The IRS says that even if you don't owe income taxes, you must still file your small business and personal tax return by the due date (April 15, unless that date is a holiday or weekend, in which case, the due date is the next business date ). You must file an extension on or before the due date if you will not be able to complete your tax return by the due date. 2. If I don't get my taxes filed by the first extension due date, can I file a second one? No. You only get one six-month extension. Remember, you must pay your taxes due by the original due date. 3. Do I have to provide a reason for requesting an extension of time to file my business taxes? Nope. You can just file the extension. The approval is automatic. But the IRS does reject extensions if they find errors or if the taxpayer information doesn't match their records. 4. How do I file for an extension with my state? Does the federal extension application count for my state as well? Each state that requires income taxes handles extensions differently. Check with your state's taxing authority (state department of revenue or other similar title) to learn about the process for filing an extension for a state tax return. 5. I will be on vacation on April 15. Can I file the extension when I return? 6. I need an extension on a partnership or corporate tax return. Is the filing the same as for personal returns? The form to request an extension for corporate tax returns is Form 7004. It must be filed by the tax due date (March 15 for partnerships and April 18 (for 2016) calendar year-end corporations). The extension is for six months. 7. Can I file my extension application online? Yes. The online filing procedure for extensions is simple and fast. See this article on filing extension applications online for more information. 8. Can I E-File my extension? Yes, you can use IRS E-File for your extension application. 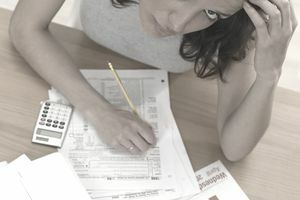 You can also use one of the tax software services or FileLater.com to prepare your extension. These services also include a calculator to help you estimate your taxes due. 9. If I file an extension for my business tax return, must I also extend my personal return? If you are filing an extension for a business with Schedule C income, you are automatically filing for both business and personal returns. You don't need to file another extension application. If you are filing an extension for your business taxes for a a partnership, LLC, corporation, or S corporation, you are probably going to need to file an extension for your personal tax return too, because some information from the business return must be included in your personal return. 10. My tax extension application was rejected! Why? What do I do now? A change in information that the IRS didn't know about. For example, if you changed your business address since your last communication with the IRS, they may not be able to match your tax information to the extension application information. Check your application to make sure you didn't make an error. If your extension is rejected, you can re-apply, but if you didn't file the application until the tax due date, you may have fines and penalties due. There is a short grace period to re-file the extension. File early so if your extension application is rejected you will be able to re-file before the tax due deadline.